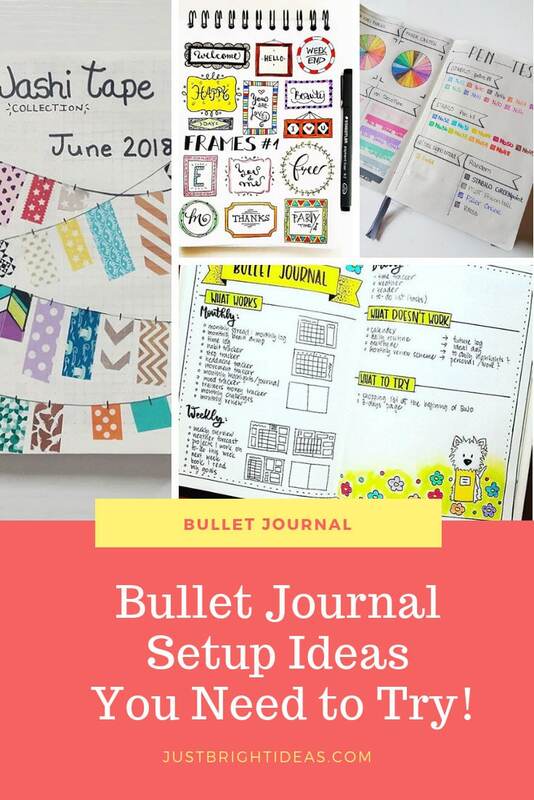 Today let’s take a look at some Bullet Journal setup ideas, because there are some things your Bullet Journal needs to work efficiently, like an index or a key. 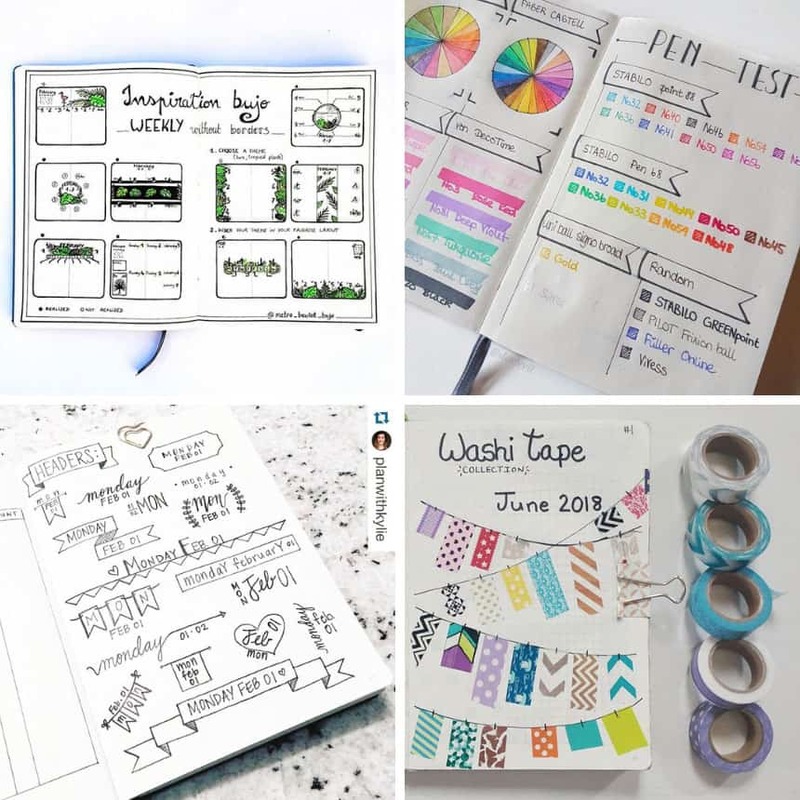 But you’ll also want pages to keep track of your favorite title or header styles, which Washi tapes you have, or even a space to plan out your next Bullet Journal. 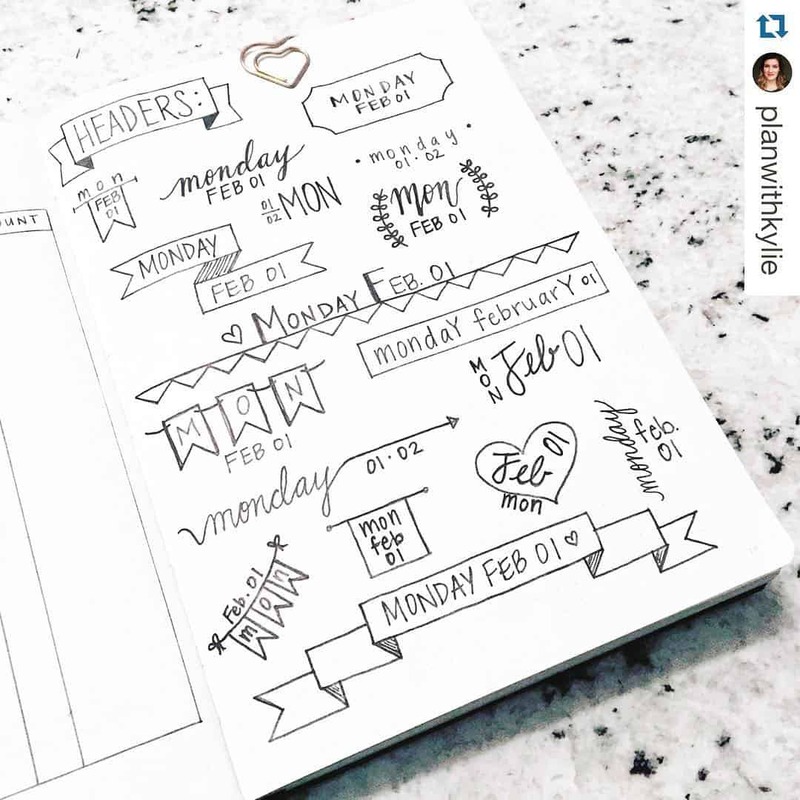 If you want to be creative with your Bullet Journal then you’ll want to add styled banners and headers to your layouts. It’s a good idea to dedicate a page to your favourite styles so you can refer back to it when you need to use one. This commandments page made me smile and I think it’s a really good idea to include something similar in your own journal. 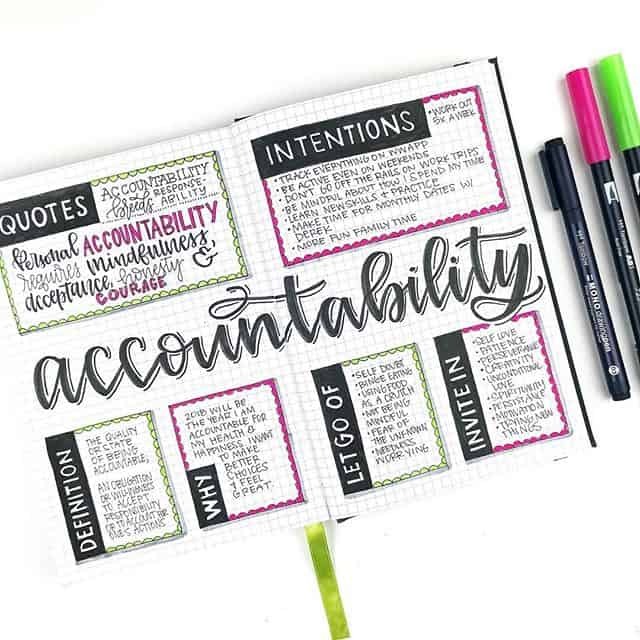 The first point about embracing mistakes is oh so important otherwise you’ll find yourself gripped with fear that your bujo won’t look “perfect” and then you’ll never use it! 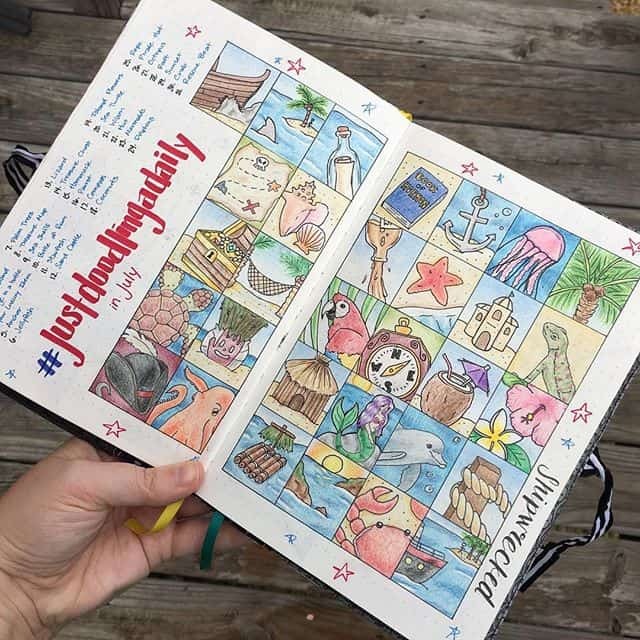 Sure you bullet journal is supposed to act like a planner to help you keep on track of your life, but it’s also supposed to be a “journal” and taking part in the doodle a day challenge is a good way to embrace your inner creativity! If you don’t want to do a doodle everyday try coming up with some doodles that fit your chosen theme instead. 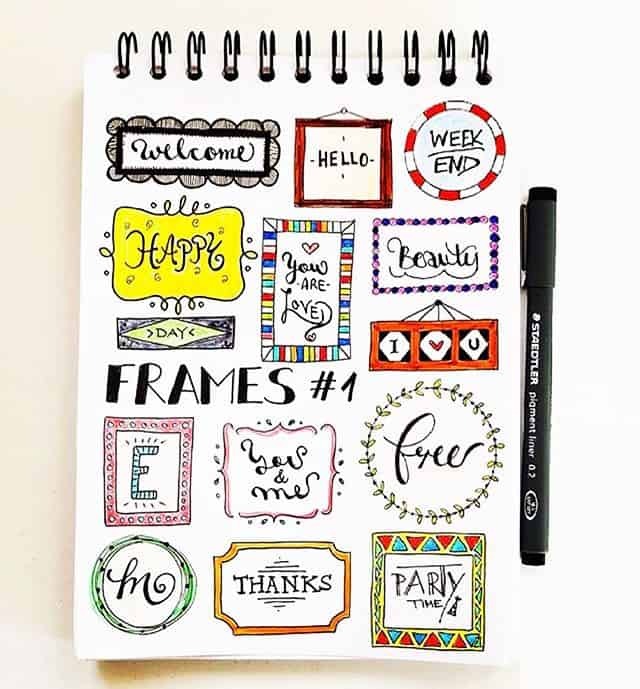 Doodle frames are just as important as headers so leave room for figuring out the styles you like best. 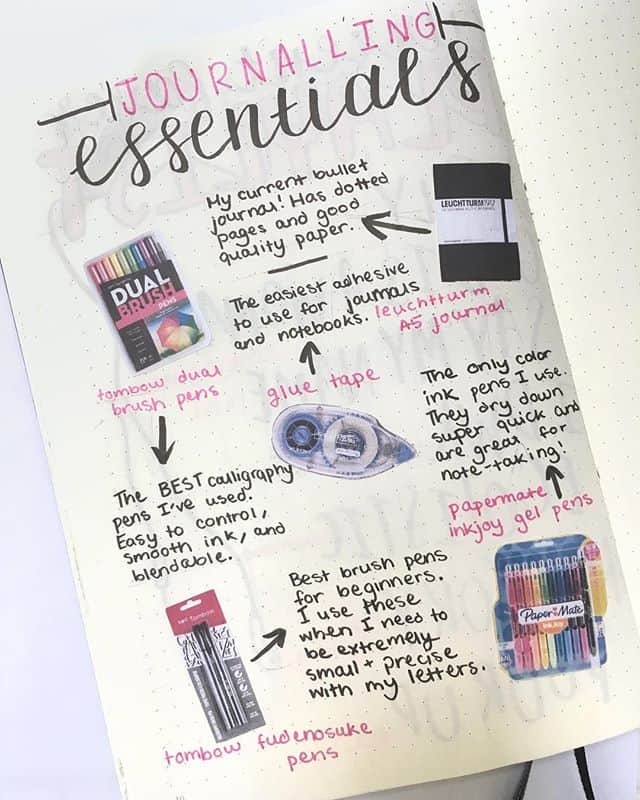 Oh yes, this one is a vital part of your Bullet Journal setup, because without it you won’t be able to find any of your spreads or collections! There is of course a reason we hanker after a Leuchtturm1917 and that’s because not only is the index page already included (so you can’t accidentally forget to add one) but all the pages are pre-numbered too! Remember I just said embrace the journal part of your Bullet Journal? 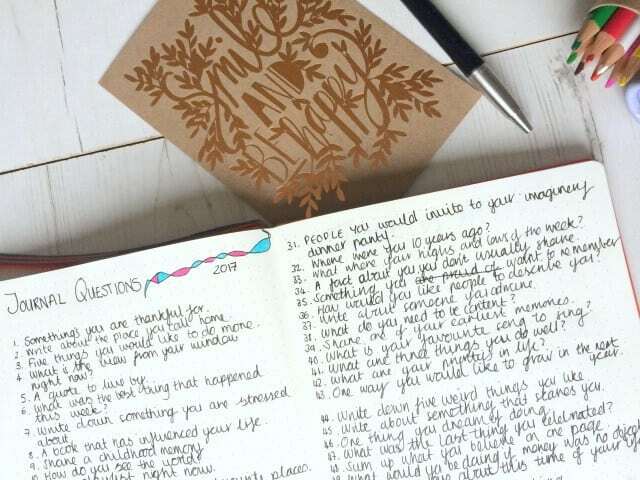 Setting aside space to write out some journal questions to answer during 2019 is a good place to start! 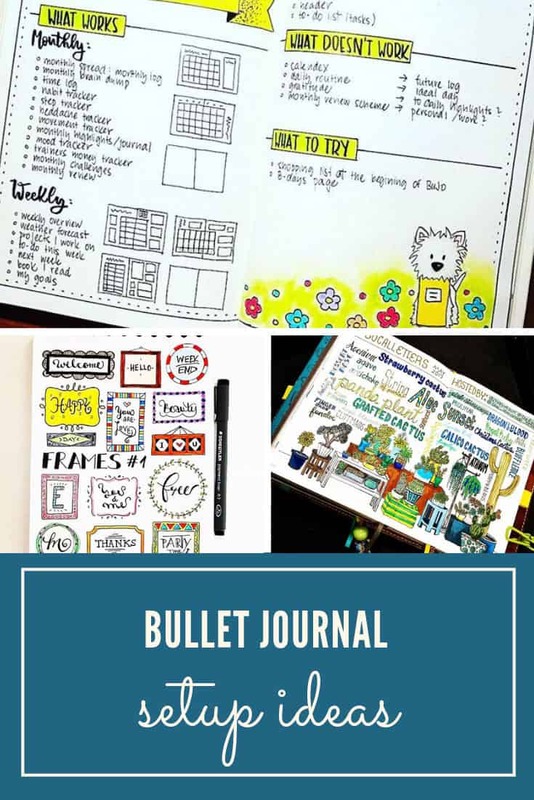 There is of course an “official” Bullet Journal key, but you don’t HAVE to use that one. In fact i found it liberating to come up with a key that worked for me. 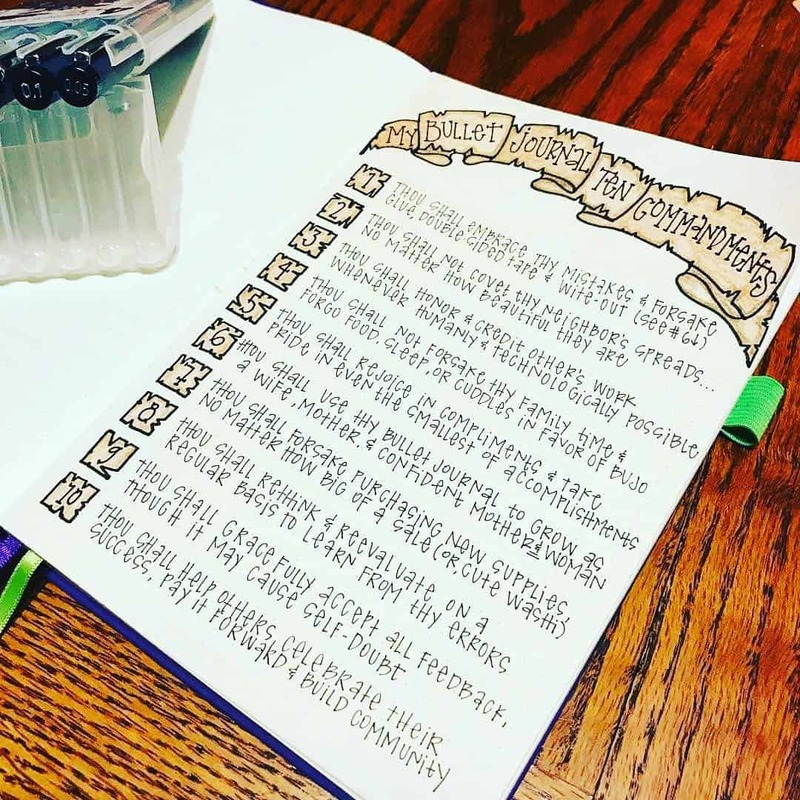 I never really cared much about my hand writing before I started Bullet Journalling, and then I realised that text and typography can be as creative as the words you are actually writing! Oh and if you want to learn more about the art of hand lettering this is a great book (put it on your Christmas list!)! 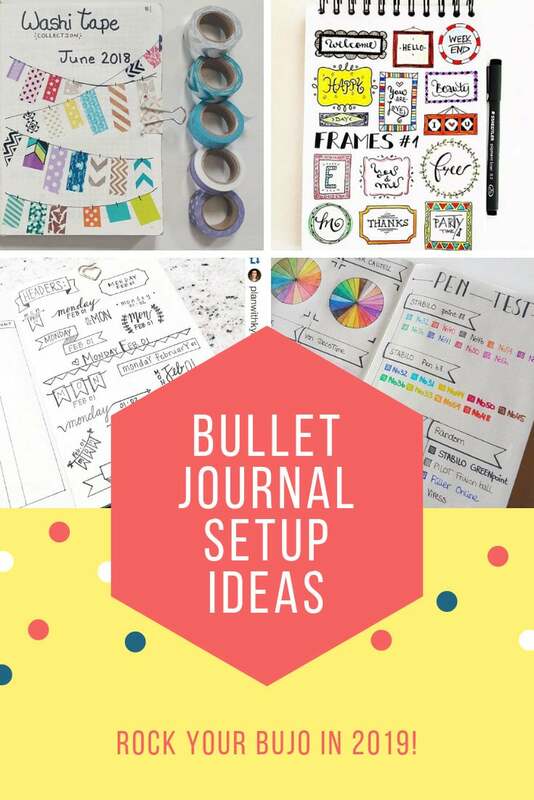 And somewhere to plan out your next Bullet Journal! 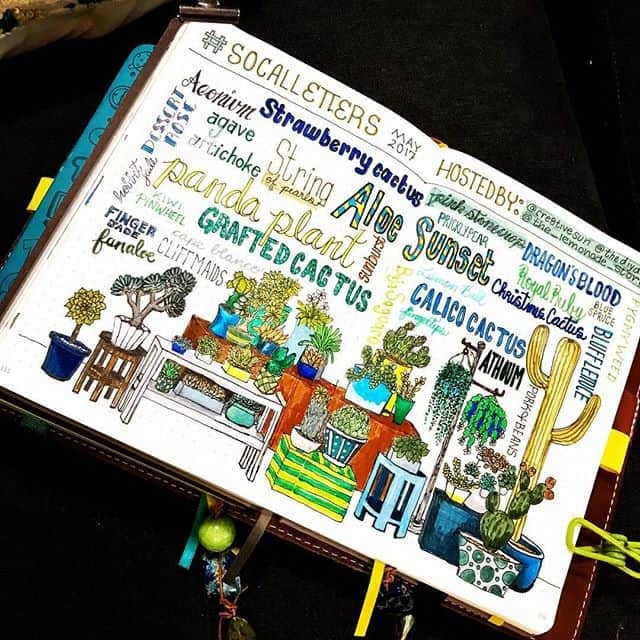 The thing I love most about the Bullet Journal concept is that you can make it your own, and you can try something new every month if you want. 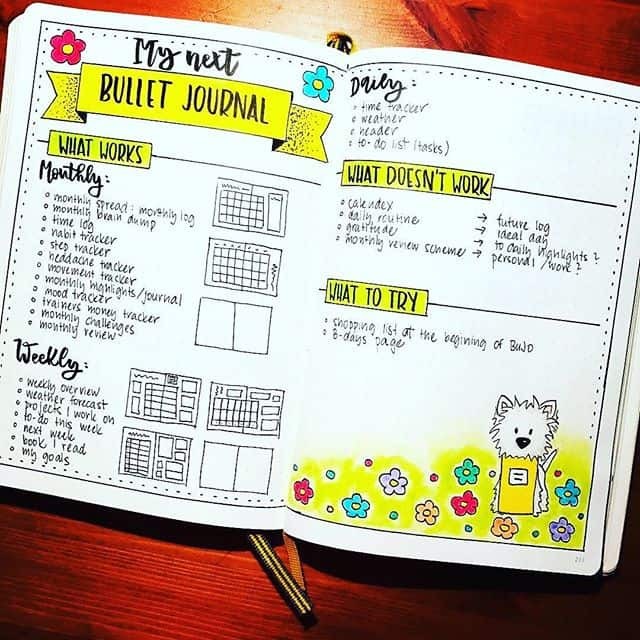 Over time of course you’ll figure out what works for you and what doesn’t, so leave a couple of pages to note those down ready for when you start your next Bullet Journal. 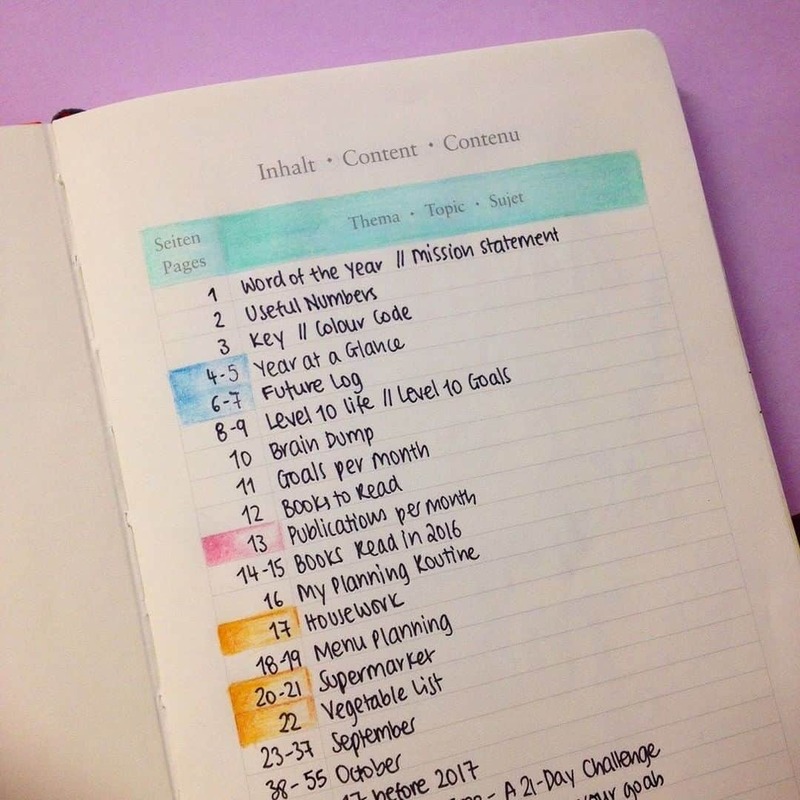 This idea works as part of your monthly planning too, especially if you want to try a theme and make your layouts really cohesive. 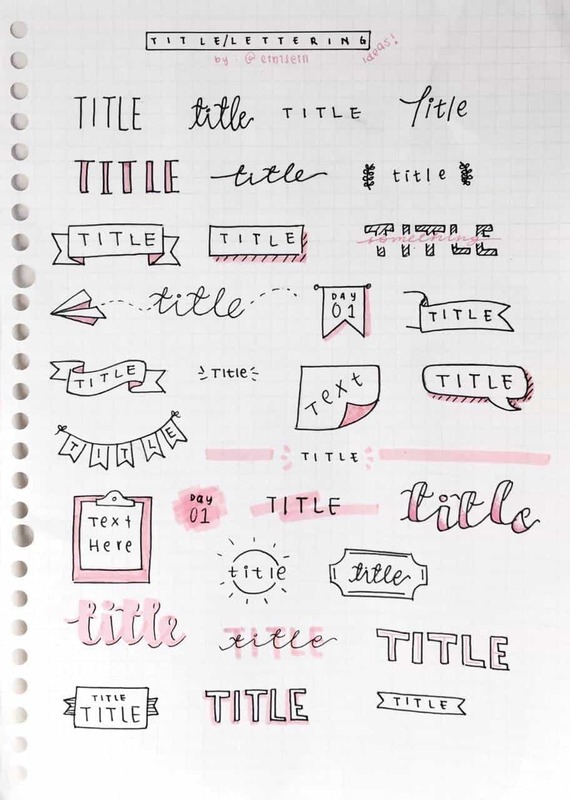 Ah yes more titles, you’ll want to leave a page to practice writing those out too! 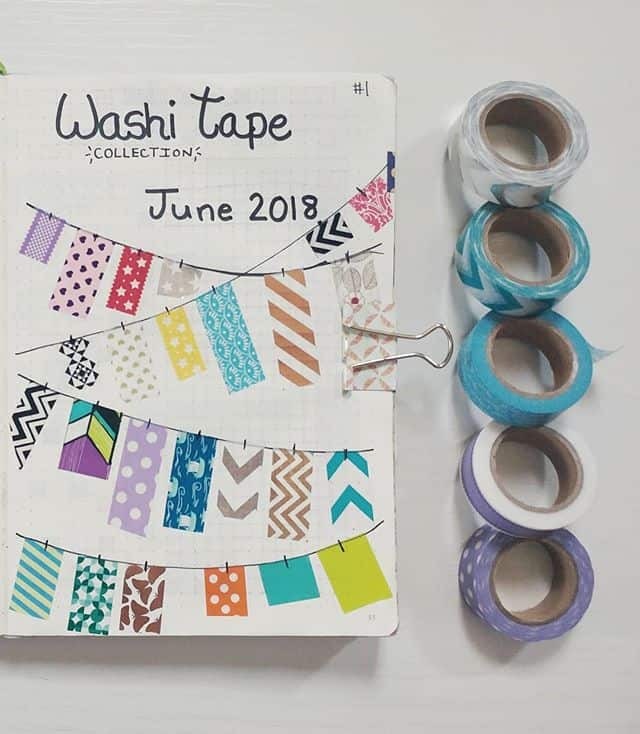 Oh my goodness Washi tape! How did I survive all of these years without it?? 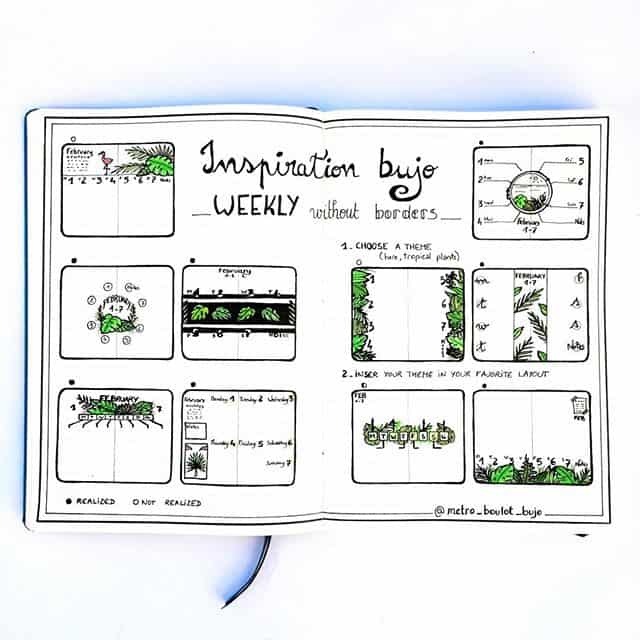 Of course it can get a little out of hand and you can never quite remember which patterns you have, so when you’re setting up your journal leave some space for a spread like this one! Do you have a word of the year? 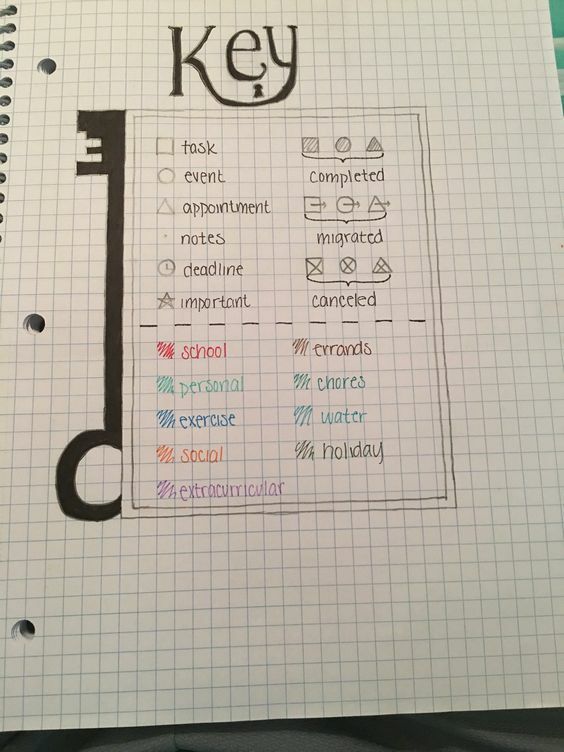 If you do then leave room in your BUJO to write it out, and what you’re going to do about! 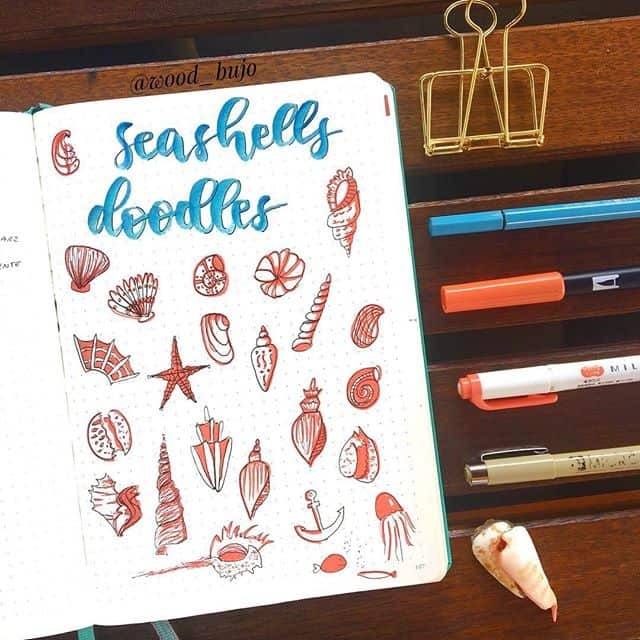 And of course you’ll need a page or two set aside to test out your pens because one thing that bullet journalling will do is make you develop a “pen habit”! 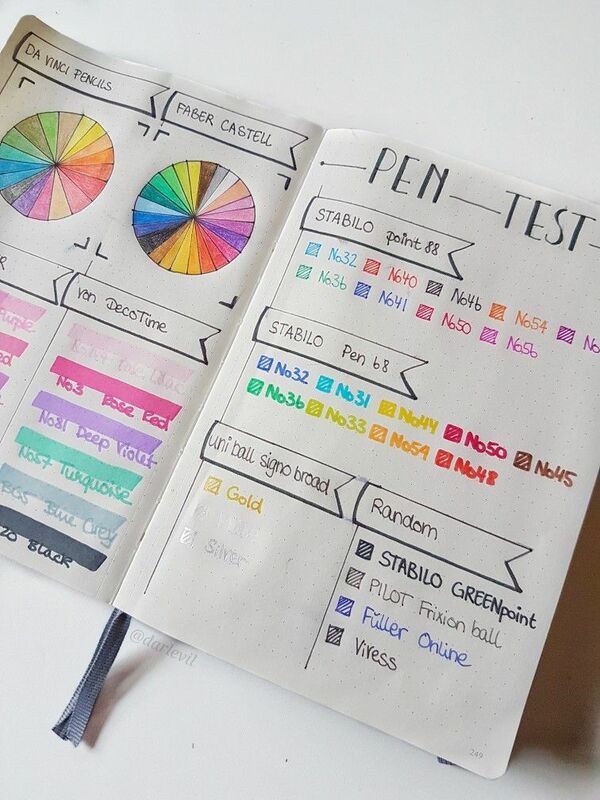 I’m a little bit addicted to testing out my pens so here’s a whole collection of pen test spreads to inspire you!